How to make low carb skillet pizza in just 10 minutes! 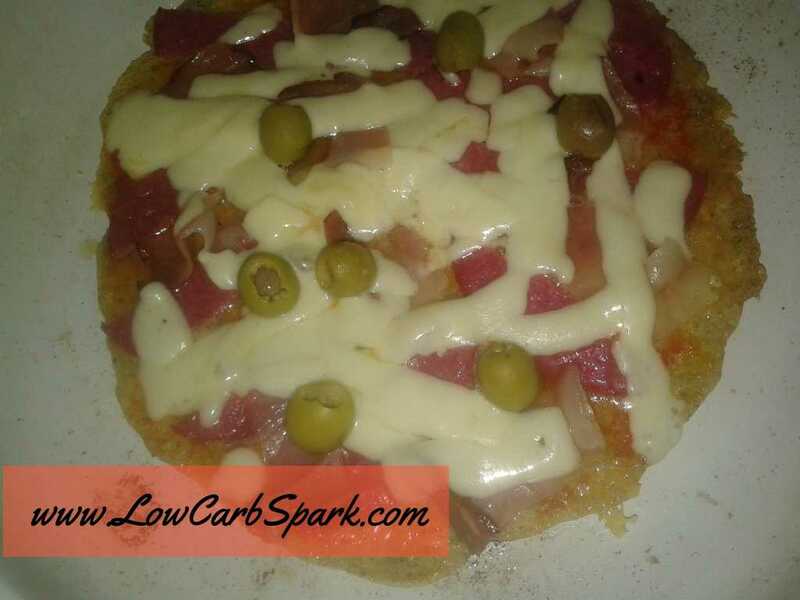 Home » Recipes » How to make low carb skillet pizza in just 10 minutes? Pizza’s one of the most loved foods in the entire world. But, we all know that pizza it’s not a great choice while trying to keep carbs levels down. What can we do if we crave a cheesy slice of pizza and we don’t want to ruin our diet? Well, we adapt the original recipe to our current low carb lifestyle. 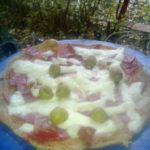 This pizza is a great craving killer, since the crust, it’s almost similar to6 the real one, only healthier and super easy to make. It will take you, only 10 minutes to create this great pizza that can be eaten at any meal of the day. 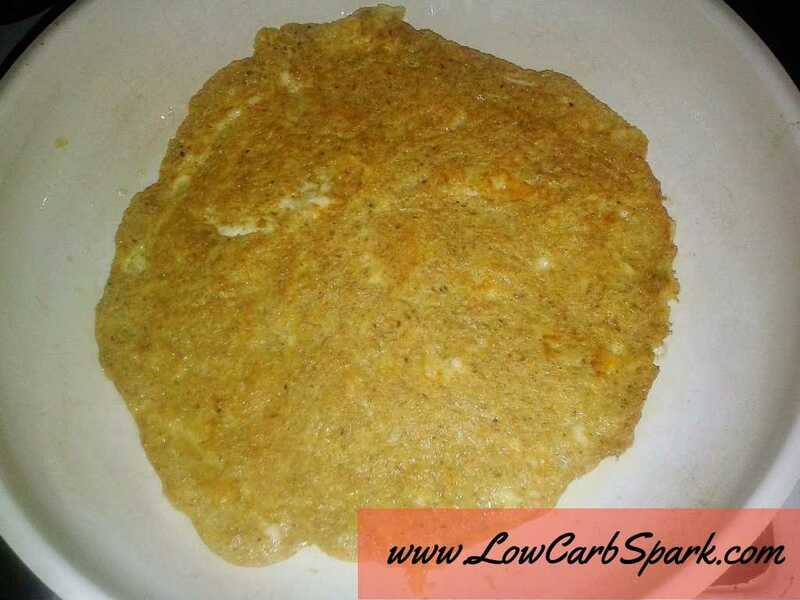 You can also have 1 or 2 slices as a fantastic low carb snack. 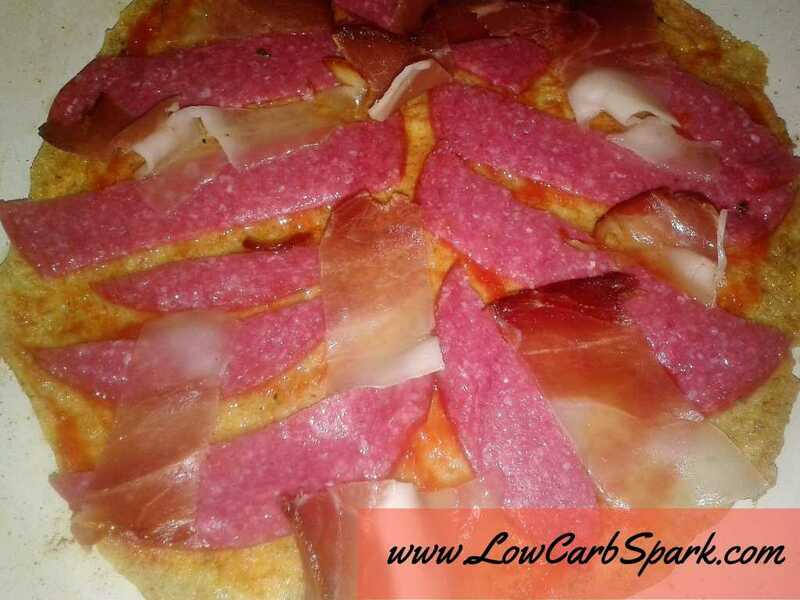 Once you try this recipe, you’d want to include this low carb pizza very often into your menu. With less than 3 carbs, you can enjoy an entire pizza without feeling guilty. This recipe is grain-free, gluten-free with high fiber content, perfect to eat while following a low carb, keto or Paleo diet. Step 1: Mix all the ingredients for the crust in a bowl. Step 2: Take a non-stick pan, add some coconut or olive oil and put it on the stove at low heat. Pour the mixture into the pan and spread the “dough “to give it a pizza crust shape ( like a pancake ). Step 3: Let it cook on one side for several minutes, until golden and nice, then flip it to the other side. Step 4: Once you flipped it, add your favorite toppings. Step 5: Add tomato sauce, salami, bacon, olives and more cheese. Step 6: Cover the pan until the cheese is deliciously melted and bubbly. You can add any seasoning you like. For extra flavor add some oregano, fresh basil, rosemary or thyme to give it an Italian boost. Get fancy, put your imagination to work and let me know how your pizza turned out. 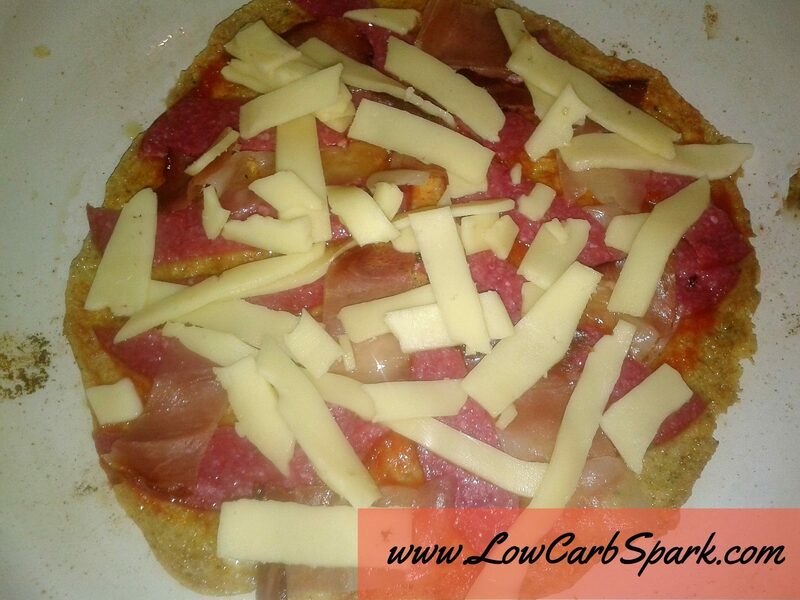 What toppings have you used?I’m waiting for pictures of your low carb, easy to make pizza! 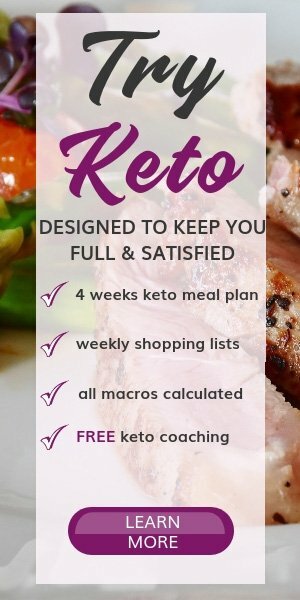 Having keto ready pizza in just minutes is like a dream come true. With so little ingredients you can make a delicious keto pizza in seconds. Mix all the ingredients for the crust in a bowl and let it sit for a few minutes until the batter slightly thickens. Take a non-stick pan, put some coconut or olive oil and put it on the stove at low heat. Pour the mixture into the pan and spread the "dough "to give it a pizza crust shape ( like a pancake ). Let it cook on one side for several minutes, until golden and nice, then flip it to the other side. Once you flipped it, add your favorite toppings. Cover the pan until the cheese is deliciously melted and bubbly. Hi for the crust ? 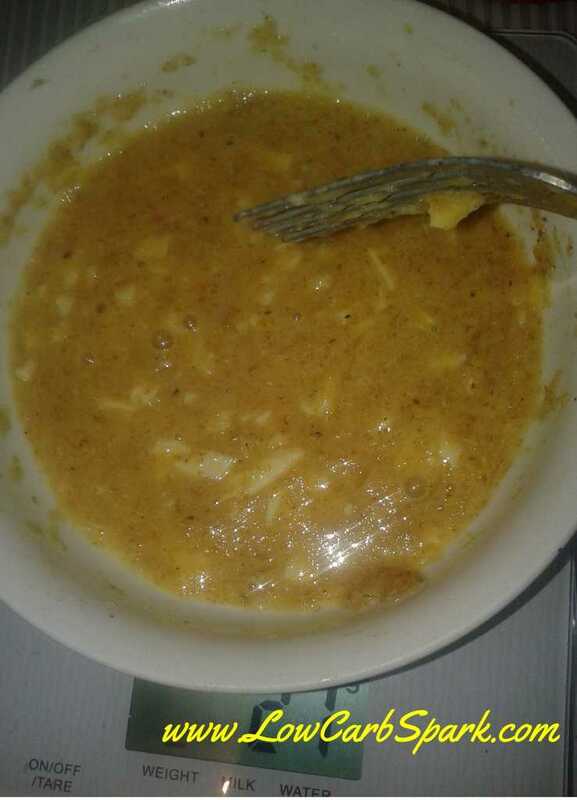 You did not explain and sauce is in between the salt and water . Just want to know exact ingredients for dough. 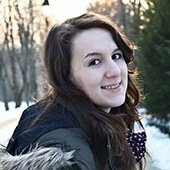 Sorry and thanks! Hello! This is one of my oldest recipes on the website and actually needs to be updated. 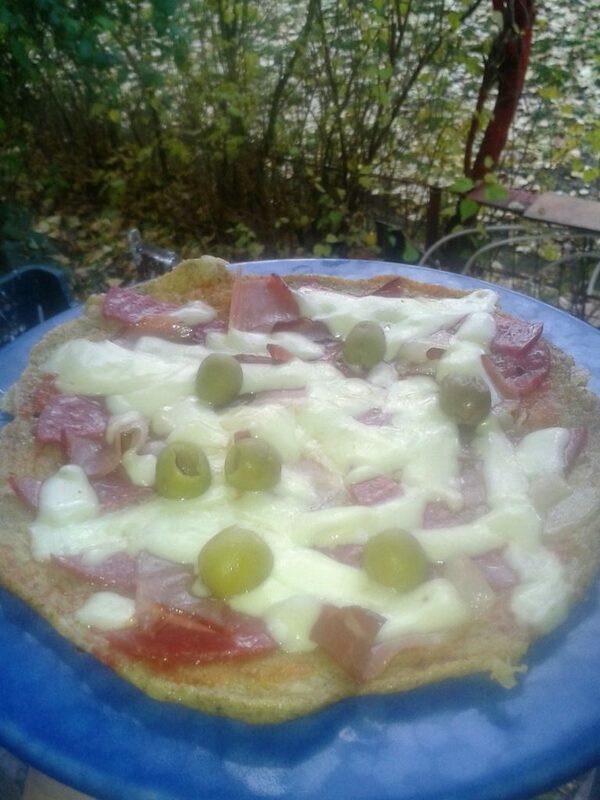 So, for the pizza "crust" I used 1 egg, 10g cheese, and 10 g psyllium husk. Mix them well and let the batter sit for a few minutes to thicken. If the batter is too thick add some extra water. Then cook it in a pan as an omelette. Once you flip it to the other side, add any toppings you want and serve. Hope it is a little clear now and sorry for the poor instructions!